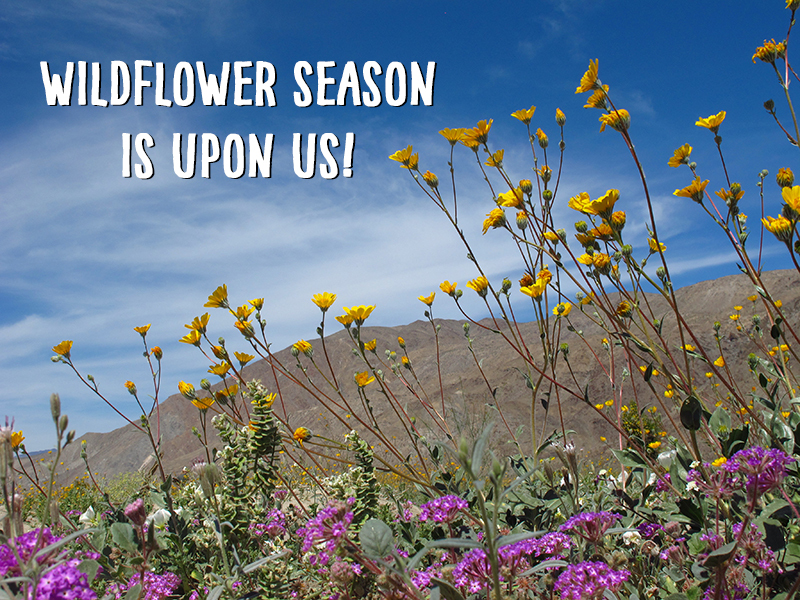 Wildflowers and wild sculptures are coming together March 16, in Borrego Springs. Join us for this driving tour of more then 100 life-sized metal sculptures created by artist Ricardo Breceda that roam the area around Anza-Borrego Desert State Park, including a 350-foot long serpent with a head of dragon and tail of a rattlesnake. 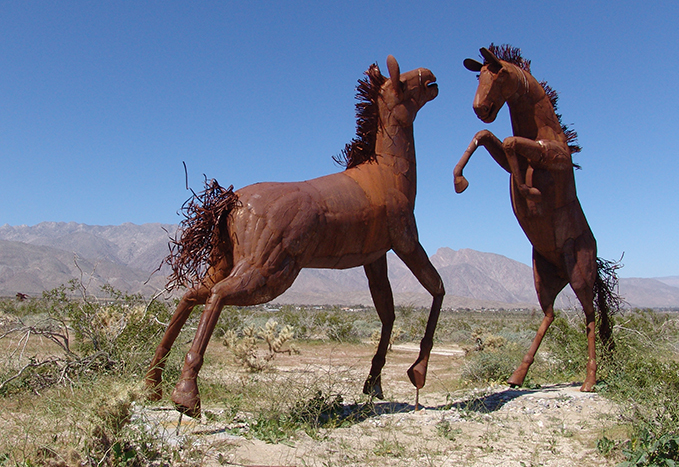 One of more then 100 life-sized sculptures in Borrego Springs. The Desert State Park is expecting a widespread bloom that will peak in March, so bring your camera, sunscreen, water, and footwear appropriate for walking in the desert. The MINI Maniacs will caravan from the Park & Ride in Pala Mesa, located at the I-15 and Highway 76. Departure time is 9 a.m. For more details, check the Event Calendar – Click Here.